Casumo Casino is a popular online casino known for its user-friendly interface with a modern twist, accessibility across all devices and a standout promotion strategy. The casino offers a vast collection of online games including Microgaming, WMS (Williams Interactive), NetEnt, Bally Barcrest, Play’n Go, GreenTube, Thunderkick, Quickspin, NextGen Gaming, Elk Studios and IGT. Casumo Casino is registered in Malta and also holds the UK Gambling Commission license. United States, France, Italy, China, Hong Kong, French Guiana, Réunion, Martinique and Guadeloupe. 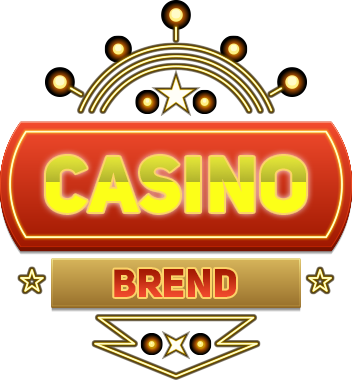 Casumo Casino features all the games produced by NetEnt. The most successful of these are slots which are extremely popular thanks to their distinctive and quality graphics, interactive features and great user experience. Avid fans of video games will be glad to find a great variety of five-reel video games such as Evolution, Starburst, Magic Portals, Muse Wild Inspiration, the Jack Hammer, Fisticuffs or Gonzo’s Quest available at Casumo Casino. Three-reel slots are accessible as well, including slots such as Magic Love and Gold Rush. Even more than that, Casumo Casino offers a big collection of classic games. You will be amazed at variations of roulette and blackjack available here. Also, expect to find Caribbean Stud Poker, Oasis Poker, Texas Hold’em Bonus, Baccarat, Casino Hold’em and Trey Poker. A video games section at Casumo Casino features single- and multi-hand versions of Deuces Wild, Jacks or Better, All-American Poker and Joker Wild. Gamers are free to pick any number of hands ranging from 1 to 100 as well as enjoy great betting opportunities. However, bonus-style video poker is not included. Those of players want to take their gaming experience beyond virtual space can do so in a Live Casino Room. Play blackjack or roulette with real gamers and feel the thrill of the game while staying at home. Always on the go? No problem at all as you can access Casumo Casino on mobile anytime. Just search for its website and enjoy a responsive and fast-loading mobile gaming. The functionality of the mobile website is complete and provides all slots available via a desktop version as well as access to your personal account. By the way, you can also install a Casumo Casino native app (currently available for iOS). Casumo Casino has a dedicated support team available round-the-clock. Gamers are welcome to join a live chat to share their feedback or ask a question. The support team, or Casumo Ambassadors, can be reached 24/7. Email support and FAQs are available as well. Casumo Casino is committed to protecting their gamers and is transparent in the way they do so. Browse their About Us page for complete info on privacy protection standards and SSL protocol which help to ensure that customer data is safe. If you have additional questions with regards to the data protection, contact support team for complete info. Casumo Casino has also been audited by the third-party agencies including TST and earned certifications from independent auditors. In particular, it is “RNG Certified”.